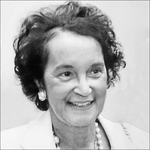 Obituary for Doris Moxley Haley | McGuire Funeral Service, Inc.
Doris was an active member in the community both in Washington, DC and in Maryland. She was a retired teacher of the D.C. Public School System, a devoted mother, grandmother and friend. She will be missed by many.